Could nail varnish be to blame? I wonder whether the current pandemic of painted finger nails could be involved in increasing breast cancer rates? 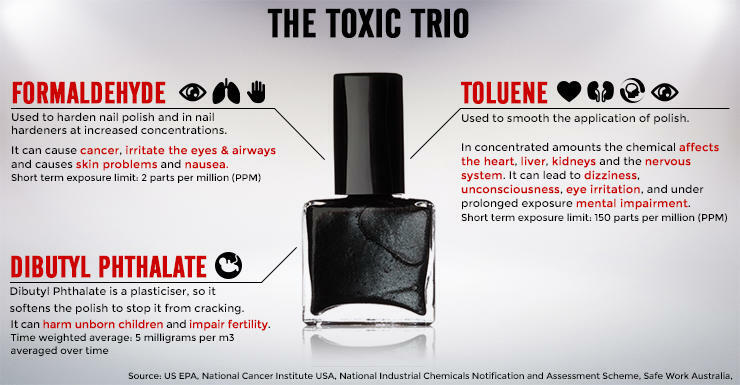 Nail varnish contains some really nasty chemicals and everything we put on our bodies ends up in our blood stream. When I was doing Aromatherapy training decades ago, I proved this theory by taping a slice of garlic to the sole of my foot. It could be smelled on my breath within minutes. The breast cancer/nail varnish question came up on a recent training day with my professional association. Chris Astill-Smith mentioned that long-term exposure to low levels of an irritant can be worse for our health than a short, sharp exposure to a larger dose. I also knew this from my Aromatherapy training – and personal experience. I managed to sensitise myself to lemon type essential oils by diffusing the delicious essential oil May Chang day after day. Sensitisation is much longer lasting and potentially more dangerous than an immediate reaction. 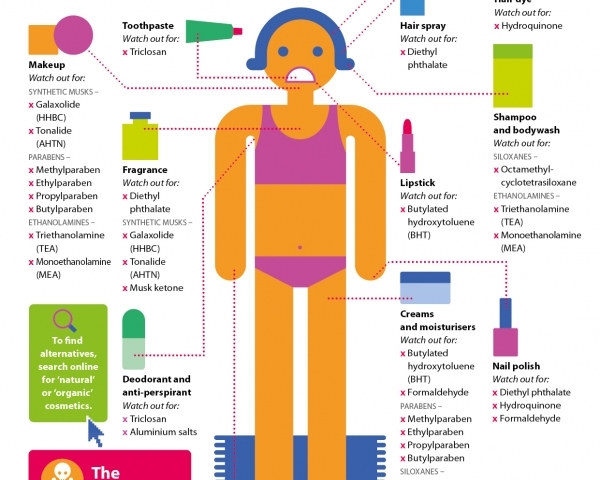 Chris also said that traces of the chemicals in nail varnish can be found in the lymph nodes in the armpits. This really got me thinking … about a client of mine who has had breast cancer and who always has her nails beautifully manicured and varnished. A few days later, my beautiful stepdaughter was chatting with a friend and I overheard that another of their friends has been diagnosed with breast cancer. All this got me thinking … and googling. It seems there are very definitely strong reasons to NOT have permanently painted finger nails. This article explains why. And this research does too … and this study looked at just one chemical: TPHP. I think it’s time to think twice before painting your nails! Let’s go back to the natural look please! Rub a little coconut oil into your cuticles and push them back with a cotton bud, then buff up your nails with a soft cloth. Wear your natural nails with pride – and protect yourself against cancer. It’s a win/win. < Previous The importance of protein … again!